The gearbox is one of the most important essential components of any car, and it is vital that when being replaced or repaired, that it is done in the right way and by an expert team. Here at Ken’s Autos we do just that. 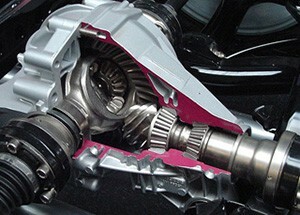 We can carry out repairs and fitting of gearboxes to all makes and models of vehicle. Whether your car has a manual or automatic gearbox, our team can have your car back on the road within just 14 days, and often in as little time a just 3 days. Call or email us today, from our contact page, and we can discuss your needs with you. You can also take your car to any of our garages and talk to an expert member of our team, who will be able to give you a quote, ands answer all of the questions you may have. Being without your own transport can be a nightmare, and we are very aware that for many people having their own care is absolutely essential. While your car is out of action, Ken’s Autos will provide a free courtesy car, so you don’t need to worry about any of that.